I love the hat. The veiling is beautiful. And I'm so impressed you weren't thrown by the glue spot. The video is so well done too. The wiring looks tricky. But you make this look easy; and I'm sure it is not. Thanks for watching and commenting, Siouxsie!! I did actually talk about certain aspects like wiring and attaching the hat elastic in more detail, and filmed them, but had to edit them out to keep it under 10 minutes! Really enjoyed the how to, it's something I've been interested in for a while but had no idea where to start. 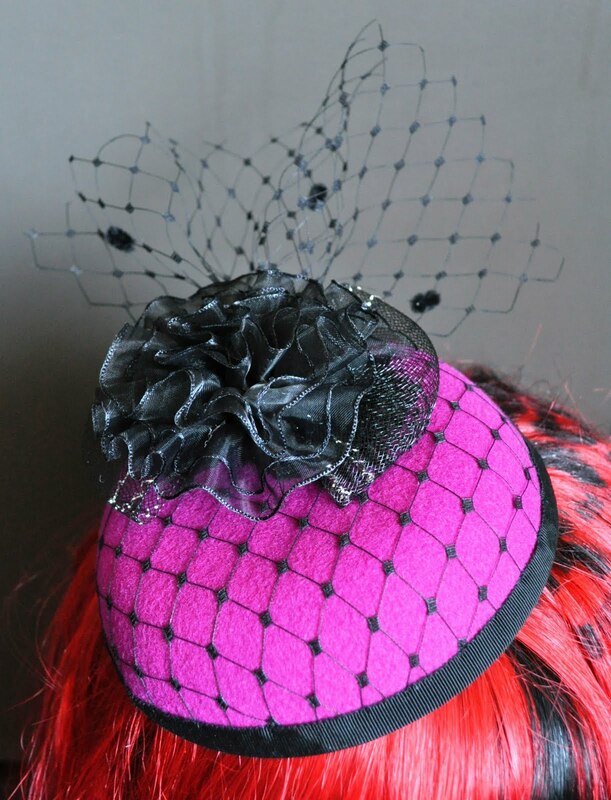 The hat looks awesome too, cant wait to try and make one!!! Thanks so much HanaKei! I'll defo be doing some more simple ones too 🙂 And yeah, give it a go!